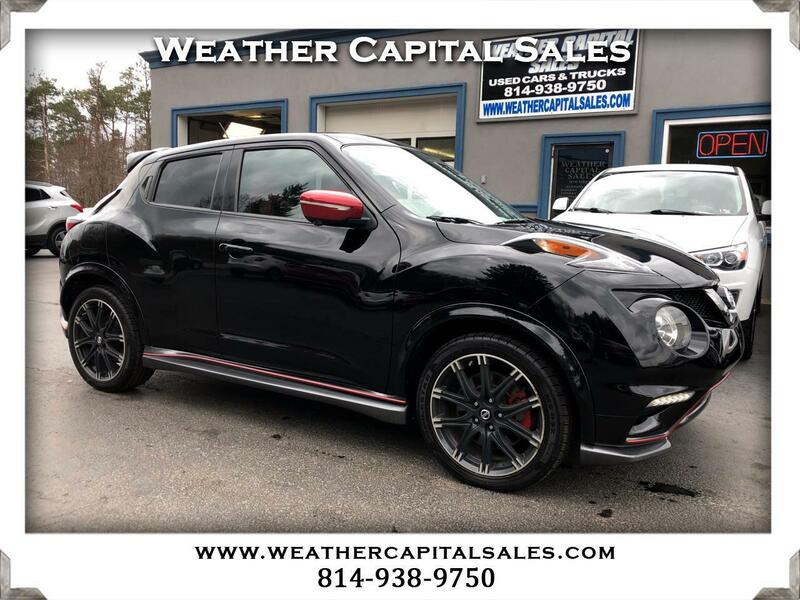 A 2015 NISSAN JUKE NISMO RS ALL-WHEEL-DRIVE WITH ONLY 41,703 ORIGINAL MILES! THIS JUKE IS A LOCAL, ADULT-OWNED, 1-OWNER TRADE. IT WAS OWNED AND DRIVEN BY A LOCAL 55 YEAR OLD COUPLE. BOTH THE INTERIOR AND EXTERIOR ARE IN EXCELLENT CONDITION. ALL 4 TIRES ARE BRAND NEW. WE HAVE FULLY SERVICED AND INSPECTED THIS NISMO AND HAVE INCLUDED A GENEROUS WARRANTY AT NO ADDITIONAL CHARGE. THE REMAINDER OF THE FACTORY WARRANTY ALSO TRANSFERS TO THE NEXT OWNER. THIS JUKE RUNS AND DRIVES GREAT! THIS IS A VERY, VERY NICE VEHICLE. CALL US TODAY!